Anderson was excellent at presenting the course material and building our foundation of Scrum. He was professional and courteous of everyone's needs. I would definitely use KnowledgeHut for my future certifications. Pittsburgh is situated in the Commonwealth of Pennsylvania and is known as “The Steel City” and also as the “City of Bridges”. Today, Pittsburgh is home to around 1600 technology firms which have increased the demand for various technical courses. Knowledgehut offers the CSD certification in Pittsburgh, a classroom programme so that interested students can enroll and master the subject. The CSD training in Pittsburgh helps students grasp the principles of scrum. Those who do the CSD course in Pittsburgh are in demand because the coaching specializes one in technical agile knowledge. It also focuses on continuous improvement. The Certified Scrum Developer training in Pittsburgh is an important credential that gives you an understanding of scrum principles and lets you know agile engineering skills. The academy conducts the workshop in two parts. The first part is of two days where the scrum principles, its rules and ceremonies and how to work in a scrum environment is taught. The second part is the three-day CSD technical track training where the trainer teaches theory and concepts of code samples and actual design. The tutor lets you understand the concepts in a practical way which makes the basics clearer. 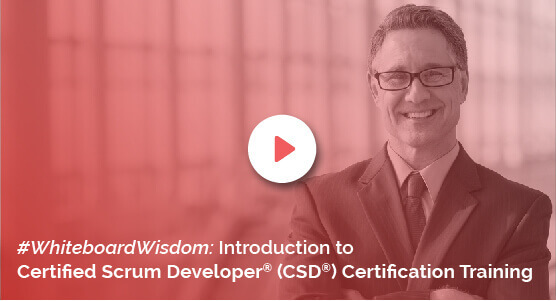 Those who already hold the CSD credential can skip the first part of the 5-day programme. The Certified Scrum Developer certification in Pittsburgh is an extensive programme and the fee to register for the course at Knowledgehut is minimal. The CSD certification in Pittsburgh lets you apply the fundamentals of scrum and develops your expertise in the scrum process. The CSD course in Pittsburgh lets you set up standards and apply the best practices that will help you create quick and quality software. At Knowledgehut, the lectures are delivered by the best tutors and you are taught the course with comprehensive training material. Even though most choose to do the course through various e-learning platforms, the classroom programme has its own advantages. To learn more about the course and the cost to enrol, register for a demo session at Knowledgehut.